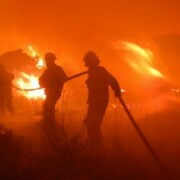 The Independent Municipal and Allied Trade Union (IMATU) would like to commend all disaster management teams, firefighters, volunteers and municipal officials who have been working tirelessly to bring devastating fires along the Southern Peninsula in the Western Cape under control. Ou Kaapse Weg, Chapman’s Peak at the Hout Bay side, Tokai Forest and Noordhoek, since Sunday. 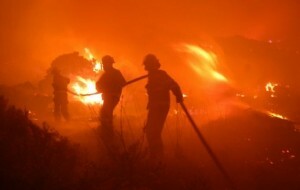 Strong winds have made this already difficult situation worse and additional fire-fighters and volunteers have been deployed in efforts to bring the fires under control,” said IMATU President, Stanley Khoza. It is estimated that more than 4 000 hectares of vegetation has been burnt thus far. “IMATU is very proud of the firefighters, many of whom are our members, working around the clock to contain this fire and protect people in the surrounding areas. We would like to commend them for putting themselves on the line and tacking this enormous task head on. As a small token of appreciation staff from our Cape Town Metro Office handed out energy drinks and chocolates to returning firefighters yesterday,” stated Khoza. IMATU would like to extend a word of thanks to all the disaster management teams, fire-fighters, Table Mountain National Park, Working On Fire volunteers, Wild Land Fire Services, municipal officials and all volunteers for their bravery, hard work and perseverance thus far. “We are extremely proud of our members’ passion and commitment in fulfilling their duties fearlessly. IMATU, together with South Africans everywhere, hope that this fire will be contained and brought under control soon,” concluded Khoza.